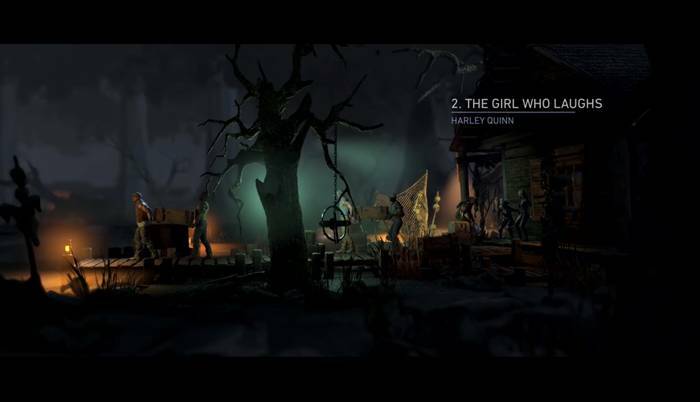 This page contains a summary of The Girl Who Laughs (Harley Quinn) – Story Mode Chapter 2 for Injustice 2. Click here to go to the Story Mode Summary page! Injustice 2’s Story Mode Chapter 2 – The Girl Who Laughs follows Harley Quinn. She’s accompanied by Green Arrow and Black Canary at Slaughter Swamp and meets up with former allies who don’t seem to share her sentiments and cause for fighting as before. In the end, she stumbles upon a face from her past.